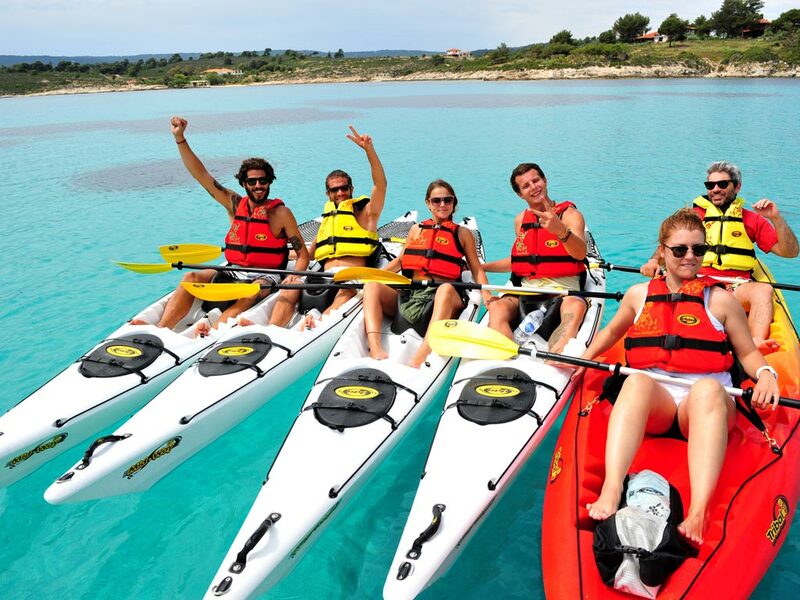 Nearby you can try a trip by kayak and visit the islands of Vourvourou Halkidiki with this unique way. 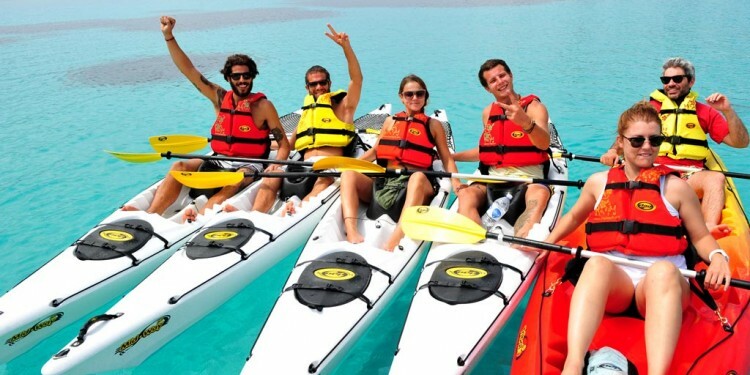 The Sea Kayak Half-Day Trip is our most popular Sea Kayak trip departing from Vourvourou, due to the unparalleled beauty found on the nearby Diaporos island. The Full-Day trip provides an adventure that truly makes you feel like a liberated explorer in command of the sea and land. It lasts approximately 8 hours and is great for people who have plenty of time at their disposal, as there are several different route options available while circumnavigating Diaporos island in Vourvourou bay. There is no better way to end a day in Halkidiki than watching the sunset from the peace and tranquility of our sea kayaks. Feel the magic of Vourvourou bay Sunset scenery !!! Yoga holidays in Greece is ideal for those who want to improve the physical, mental and emotional state, combining many popular techniques aimed at to develop to a higher level of body, mind and spirit as well as to learn to be in harmony with each other.